It's so nice to hear things great about Indiana podiatry group! Thanks Pat. We always enjoy seeing our patients outside of the office. 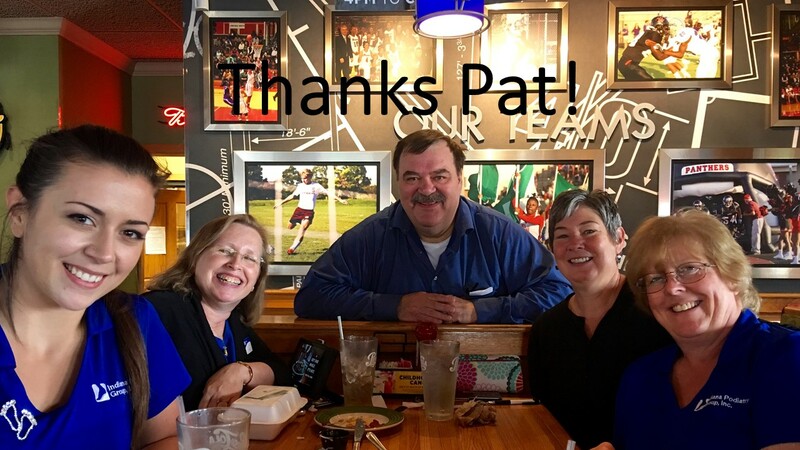 Here, Pat took the opportunity during lunch to tell us how much he values our friendly call center and what a great influence our supportive staff has been. IPG is thankful for every one of our team members, patients, and especially you, Pat!